From 2004 to 2016, Anthony Murgatroyd served on the Board of Directors for Big Brothers Big Sisters, the Nation’s leading youth mentoring organization. Debora Murgatroyd, the firm’s paralegal, worked the Women Build Day for Habitat for Humanity. As President of the Hunterdon County Bar Association, and with the support of the Association, Anthony Murgatroyd created, organized, and participated in the Pro-Bono Living Will Project. The project, limited to Hunterdon County residents, was designed to educate the public on the importance of making proper medical decisions by offering free living wills. As President of the Hunterdon County Bar Association, and with the support of the Association, Anthony Murgatroyd served as a coordinator on the Latino Education Project. The Project was designed to educate the growing Latino community of Hunterdon County on their rights and responsibilities under the law. The project was a unique, ground breaking, collaborative effort involving the Hunterdon County Bar Association, Woman’s Crisis Center, Literacy Volunteers, the Clergy, Hunterdon Drug Awareness, and the Diversity Council. Using volunteer attorneys, seminars were presented in at three different locations in the North, Central, and South portions of the county. The project received favorable publicity in the Star Ledger, the Courier News, and the Hunterdon County Democrat newspapers. Anthony Murgatroyd served as a volunteer mock trial coach for Voorhees High School from 1998 to 2003. Anthony Murgatroyd served as the Hunterdon County coordinator for Turkey Drive 2005. The Turkey Drive project was a united effort by lawyers throughout the state to raise money and buy turkeys for needy families at Thanksgiving. As a result, more than 2,005 turkeys were donated to Food Pantries throughout New Jersey for the Thanksgiving holiday. Locally, we raised $544 that was given to the Local Area Food Pantry. In November 2011, Anthony Murgatroyd participated in a half marathon and raised $1,500.00 for the American Cancer Society. 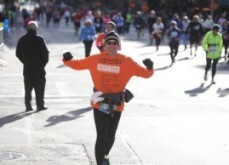 In November 2014, Anthony Murgatroyd participated in the NYC Marathon and raised $5,000.00 for the Memorial Sloan-Kettering Cancer Center. Anthony Murgatroyd was a speaker a t the EndDD presentation in the Somerset County Courthouse. 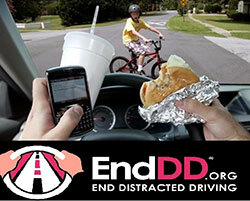 End Distracted Driving is an organization dedicated to inspiring individuals and communities to take action to end distracted driving. The core mission of EndDD is to preserve life and promote safety on a large scale through advocacy, education, and action. January 2015, Anthony J. Murgatroyd volunteered to participate in the Military Legal Assistance Program. The New Jersey State Bar Association has established this pro bono program to provide legal assistance to New Jersey residents who have served overseas as active duty members. Anthony and Debora deliver gifts to the families participating in the Big Brothers Big Sisters Program on behalf of the Hunterdon County Bar Association.